In a show packed with exotic models, the M4 stole the show. 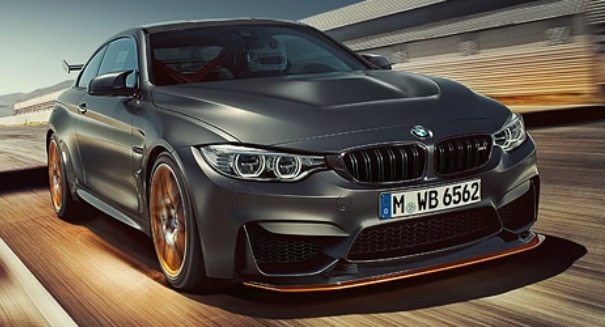 BMW has just stunned the automotive world in Florida with the performance of its 2016 BMW M4 GTS. BMW is calling it the most “agile, radical, and powerful M4 ever,” and it was certainly the showstopper at Amelia Island Concourse d”Elegance in Florida this weekend, facing off against a number of exotic models, including a few other BMW models, and still coming off shining, according to a SlashGear report. The M4 is a completely redesigned car that has lower curb rate and greatly increased power. It has an aggressive body kit and a frame that is built out of carbon-fiber-reinforced plastic, along with aluminum, resulting in a lightweight car with lots of power under the hood. The car certainly had a striking look at the show. It had a smooth, steely exterior with acid-orange wheels, certainly making it stand out from the crowd. The engine is a 3.0-liter M TwinPower inline 6-cylinder, which has 493 horsepower and 443 lb-ft. or torque, reaching top speeds of nearly 190 miles per hour and blasting off from 0 to 60 in just 3.5 seconds.